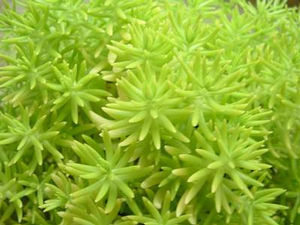 'Lemon Ball' forms a vivid mound of chartreuse foliage that grows 4-5" tall and spreads 10-12". 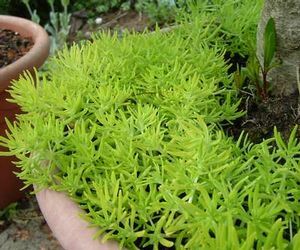 Like 'Angelina' it has fine textured needle-like leaves but is brighter yellow and has a denser, bushy habit. 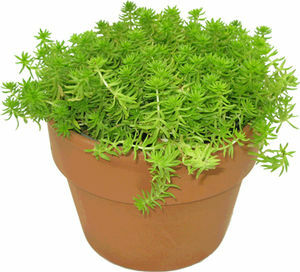 The versatile foliage color compliments soft blues, pinks and greens and highlights dark-leaved plants.